Yazd is called the bride of desert. the helarious desert sights in this ancient city with a huge cultural and traditional attractions, make Yazd one of the most recommended cities in Iran to visit. Cultural, historical and eco tourism are main reasons for visiting Yazd city. Yazd is also called "the second ancient and historic city in the world" in the wikipedia. The city has a 3000 year long history, dating back to the time of the Median empire, when it was known as Ysatis (or Issatis). The present city name, however, may have been derived from Yazdegerd I, a Sassanid ruler. The city was definitely a Zoroastrian centre during Sassanid times. 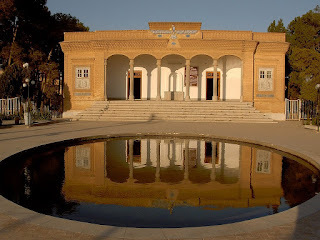 After the Islamic conquest of Persia, many Zoroastrians fled to Yazd from neighbouring provinces. The city remained Zoroastrian even after the conquest by paying a levy, and only gradually did Islam come to be the dominant religion in the city. Lovely pics..I had heard a lot about the rich history of Iran..Hope to visit your beautiful country in the future..